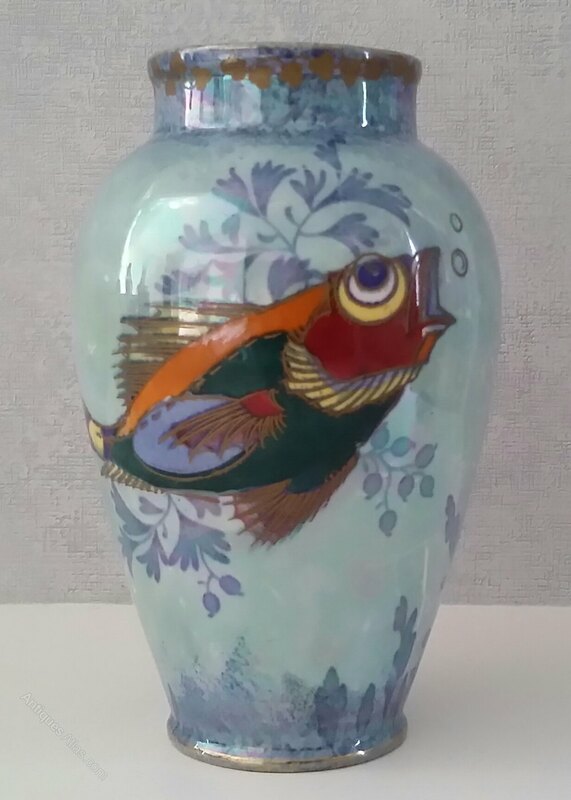 A rare and beautiful Bursley Ware vase designed by Charlotte Rhead c. 1925 with pattern number 878. This is listed in the Bumpus study of the Rheads on p.31. 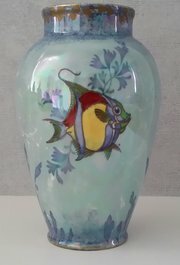 The printed and lustred background of pale blue water scene with darker blue underwater vegetation provides the backdrop for two partly hand-painted and brightly coloured fish. A stunning vase, with some wear to the lustre and gold rim but otherwise in very good condition. 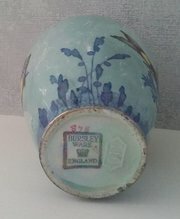 Height 15.5 cm Bursley Ware backstamp for early 1920s.